Another article in the NY Times. Good comments. I think I might try some of the techniques this family used with my son. Oh dear - I must have skipped over that detail! I'll also have to be careful not to sing too loud or he'll just hold his hands over his ears. My non-verbal communication interpretation and ability to anthropomorphize objects knocked me out of Asperger's range, but most of the internal/non-behavioral points are consistent with my results. So technically I'm not on the spectrum, but whatever I am has a large overlap with HFA for other reasons. Apparently it's a known thing but there isn't a good box to shove us into. Clover, what is your reaction to the diagnosis? Do you feel like you are part of the "club" or not? I hope that asking doesn't offend you. What additional steps are you taking, now that you have a diagnosis? Is your doctor using the DSM-IV? That's a little surprising to me, since I thought everybody would be adopting DSM-V criteria. PDD-NOS was removed in the DSM-V.
My son was diagnosed with DSM-V criteria, and was placed on the mild end of the spectrum. The head of the Early Autism Team (part of Early Access) said 8-9 months prior to his official diagnosis that he would qualify for PDD-NOS. This of course was prior to the DSM-V officially being in use. I have several years before I need to do anything, but something floating around in the back of my mind is how and what to tell my son about his diagnosis. That said, I love him and am so proud of everything he does. It was a really interesting process. I feel good that I saw the best possible person (forensic psychologist ftw!) and she dug down to the best answer, so now I can move forward with solid information. I also feel "part of the club" still, because I was mostly identifying with the I know I'm not neurotypical club, not autistic per se. I'm now even more than before of the belief that neurotpical/not-NT is tremendously complicated... that autistic is just a subset of not-neurotypical (for lack of a better term). My evaluation, family history, and previous genetic tests showed strong evidence for all these, and are all things I strongly relate to (schizotypal in the sense of perceiving the world very differently from NT folks) while being too low for a formal diagnosis in any of them. So I feel now that in some way I'm an ambassador for that new research front, and for ASD in general even though I'm out of clinical spectrum range, because I experience the world in the same ways but am separated from being "actually" aspie mostly by possessing abilities that let me explain it to other people. The professional community at this point has rejected V because of so many of the issues going on with it, and is now in sort of a diagnostic limbo because we've moved on from the DSM-IV but can't replace it with V now. And the DSM is a completely (North) American thing; the rest of the world uses strictly ICD coding... think of it like the imperial system(DSM) vs. metric(ICD). We're being forced to switch to "metric" because the "imperial" system has broken down. A total transition to ICD is the most likely long-term outcome of this whole mess, in her opinion. So my diagnosis was delivered in ICD-10 and DSM-IV codes, with annotations about any conflict between the two systems. The PDD-NOS is 299.8 in the old DSM-IV, and F84.9 in ICD-10. Anyway, that was long but hopefully useful... writing that all out was clarifying for me also. I just quit my career in IT to take on a position as a job coach for folks with disabilities. A large portion of my client base are on the autistic spectrum. I look forward to digging through this thread and catching up with you guys. I've got a lot to learn. There's a lot in your post that I will be thinking over, not least the issues with the DSM-V. My son will be going to the Center for Disabilities and Development (where the Autism Center is located and where he was diagnosed) next month for cognitive testing, and I will be sure to ask about it. I've read a little about the genetic markers for the disorders you mention. How did you happen to get tested for them? I'll also ask about ICD-10. What matters now is that he, like you, has a diagnostic code so that getting him therapies that help is easier. As for the NT/not NT stuff: I like your thoughts - my son is different enough at this point that the support he is getting benefits him, but still, he absorbs a lot from the world around him. I think it's impossible to judge now what he will be able to do when he is an adult. At this point, I am comfortable with sharing and sometimes volunteering that he has this diagnosis, because I think it's important that others know how common such differences are. Soon his privacy will be more important. I see a lot of myself in my son, though in him the traits are generally more extreme, such as his strong interest in certain things and his intense desire for structure and routine. So when you suggest that there's no bright line separating NT and non-NT, I think I see where you are coming from. I'd like others to see the range and fluidity in this, and recognize the degree of connection we all share. As for classics/palaeography - that's fantastic! My side of classics has involved more of papyrology, but I know several people who work in palaeography. Jobs are pretty scarce throughout academia at this point, but there is certainly work to be done. Feel free to PM me and I would be happy to share my contacts. And I'd say that obsessive interest is the reason a lot of us are in this discipline. ETA: Here's a link about a TED talk on the current state of research on autism. The video is not yet up. Here is a link to the Interactive Autism Network, a site recommended by the TED speaker linked above. I've just glanced at it, but I see several links there of great interest to posters on this thread. Today is Owen's 3rd birthday, and he couldn't care less, he just doesn't understand what that even means. My wife is taking it pretty hard, she's so desperate for him to be excited about it. We have a party planned for him at the local YMCA with a bouncy castle. It is a group of close friends who have kids around Owen's age who all know of his diagnosis, and in the invitation we explained that we likely won't open presents or do much with a cake because in the past he hasn't shown interest in those things. 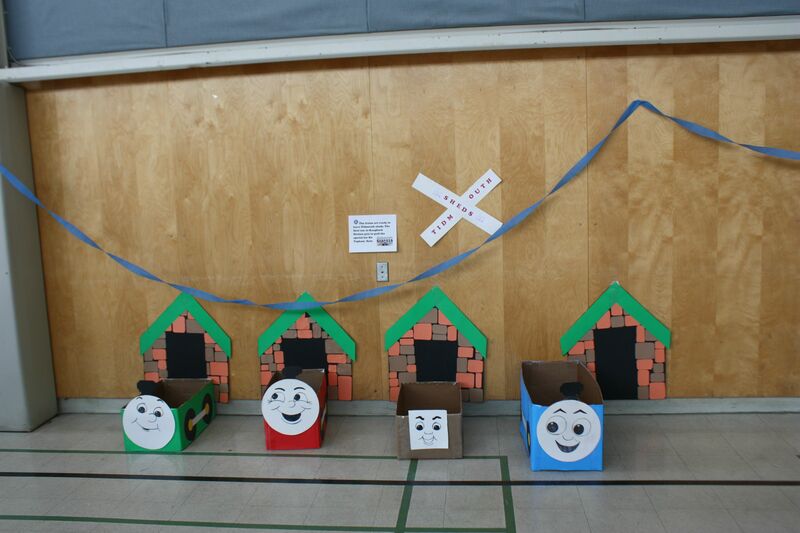 We have made a bunch of Thomas and Friends out of cardboard boxes, and are going to have some "games" but otherwise it will just be Owen and his friends tearing around a gymnasium. I think he's going to love it to be honest. These are the days when this stupid diagnosis rears it's ugly head. So how did the party go? 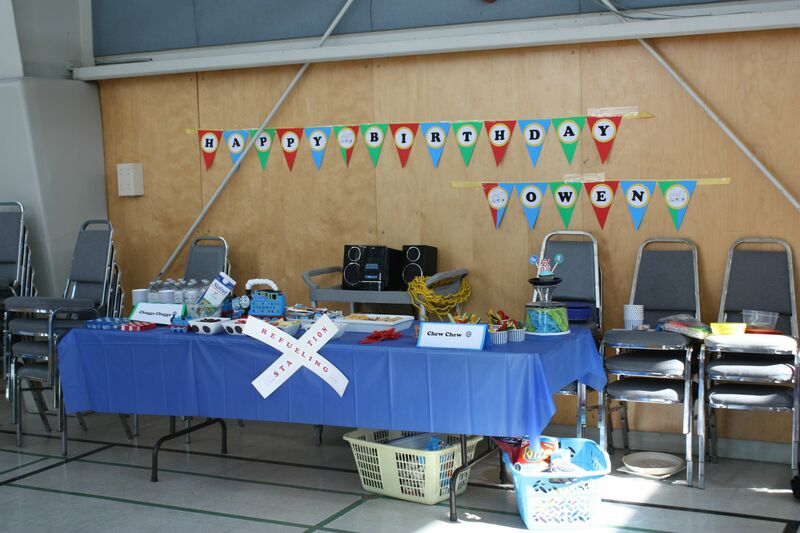 I took my son to a birthday party for a child in his preschool class last fall. It was at a local gym. It was a lot of fun until he got overstimulated. Anyway, did Owen have a good time? My son did enjoy the cake and presents at his third, but frankly, it was all pretty random. Here's another talk by Wendy Chung - looks like it's for a more specialized audience. It went fantastic, but it was totally geared towards him. We had it at the local YMCA who provided a bouncy castle and the gymnasium. We made it a total Thomas theme, as Thomas is life right now. 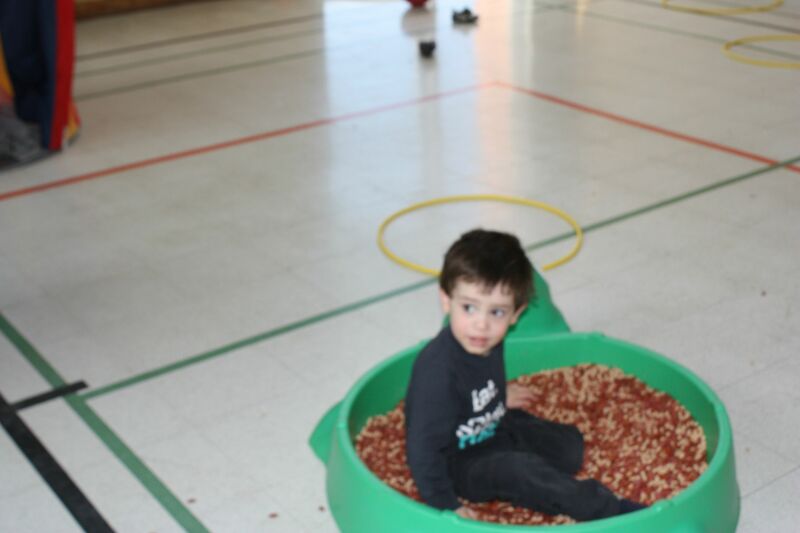 My wife had different stations like carboard box Engines for racing in, and a 2 kids pools one filled with balloons, and the other with various dried beans (sensory). We setup his little play tent with a blanket and pillow if he needed to get away. He had so much fun, the look of pure joy on his face and his exclamation of "WOW" when he walked in, brings tears to my eyes. I could see my wife's eyes welling up throughout the course of the party everytime he would run over and give her a random hug, showing how much fun he was having. He did "play" with some of the kids, as he goes to daycare with them. Well as much as any 3 year old does. It was really cute when a little boy who came who he had never met came up to him, and he looked him straight in the eye and kept sayin "Hi!". Owen's way of greeting someone, it was really sweet. We took the presents home to open them, but he certainly had no problem sitting around the table eating cupcakes with his friends. Everyone comments on how well behaved he is, and he's so patient and doesn't really have tantrums. 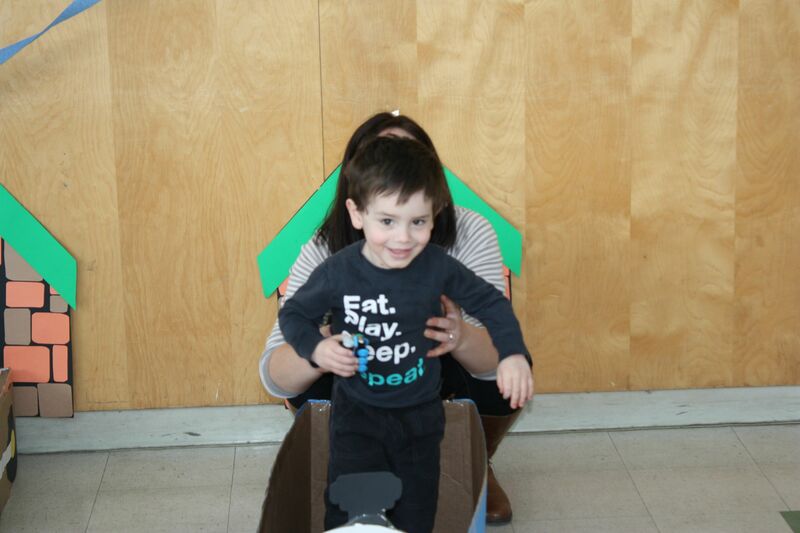 There were neurotypical kids there that were MUCH worse behaved than our little guy. The funny thing was when we got home at around 2pm, a little after his nap time.. he passed out and went on to sleep for 4 hours! He was wiped. It meant a late bedtime (midnight), but it was all worth it to see him so happy. I assume next year will be easier, hopefully his speech and comprehension will improve. Glad he had fun. Our son's third went better than expected. A lot of the NT kids around that age didn't necessarily fully get it or behave well from what I could tell. I am dreading our son's fourth birthday in the worst way though and it is almost nine months away. Seriously, I am getting panicky and sad just thinking about it. Every milestone like that is like a punch in the gut and things seem more real and permanent. My wife gets the same way over birthdays. She tries to really go all out for them when she can, and Tristan has no interest in most of it. Funny thing is, reading all this I realized I'm the same as Tristan. Every year my wife asks what I want for my birthday, or Christmas, or Father's day, etc, and I always reply "nothin'". I just don't really get anything out of it, and it makes me feel awkward, so I don't celebrate anything, ever. I'll go along with my wife's plans, but it's really hard to get invested in any of it, and that's really getting more dominant in my personality as I get older. If anything, the only excitement I get is when I'm on call during a holiday my company recognizes, because I'll try to find reasons to be at work so I can pull double time and a half pay. Went on the first big family trip with our son over Spring Break. He was off from school and there was no way we were going to stew at home like we did around Christmas. We had the foresight to pick a destination within driving distance (Smoky Mountains) and had the family pitch in and rent a cabin rather than stay in hotel rooms. That way his stimming wouldn't bother any strangers. Good thing too, since he just developed a new one: leaning forward and simultaneously stomping his feet and slapping his stomach. The stomping was pretty loud and I could hear it two floors up. If we had been in a hotel, people would have probably complained. Of course his sleep was messed up but that was to be expected. It could have been worse. He did OK with the low bed they had, so we can probably safely upgrade to a toddler bed from mattress on floor if we want to soon. We were able to baby proof the bottom floor and block off the stairs so we could sit down peacefully for a while and not watch him like a hawk the entire time. Got to eat out a lot, but we did almost no activities. Lots of time spent driving around, trying to get him to nap earlier so it wouldn't mess up his bedtime. We did let him run around the field outside the national park visitor center for an hour, which is about as close we came to exploring the park itself. Also took him strolling through a Titanic museum, but that was about the only thing we did that was really different. Not sure why there's a Titanic museum in TN. Would have preferred to go to the aquarium, but parking wasn't feasible. Overall, the change in scenery was good and things went OK from a practical standpoint. From an emotional standpoint, not so much... There were all these kid-oriented activities like go-carts and miniature golf all over the place and I just kept wondering if he would ever be able to participate and understand any of this. Right now I am very doubtful. I kept thinking about all the trips I went on with my family as a kid and how I loved going to museums and nature walks and amusement parks and so on. I admit, I cried a few times thinking about it. Meanwhile my son is doing the same stimming and aimless running around that he does at home. Right now he doesn't even play with toys, he just chews on them. That's awesome, El! 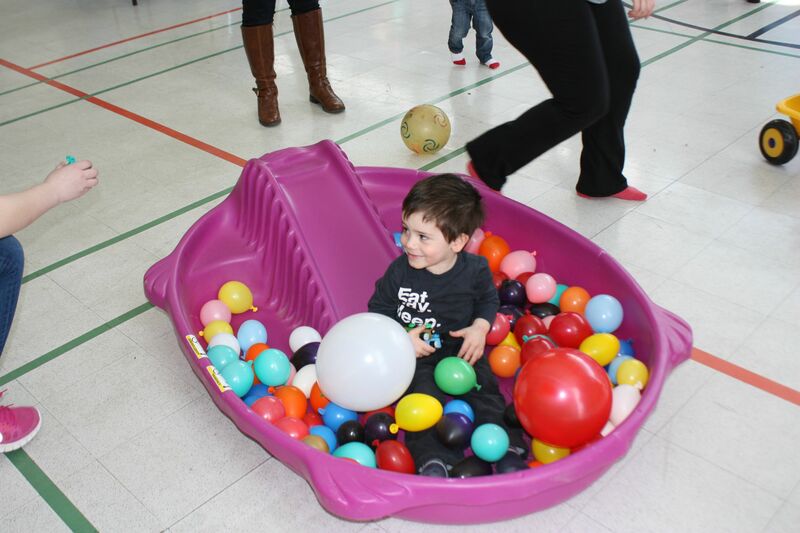 Looks like Owen had a blast! Took my son until his fourth birthday to get the concept of the birthday thing, too. He used to bawl when Happy Birthday was sung. Now he loves that the say is all about him. From an emotional standpoint, not so much... There were all these kid-oriented activities like go-carts and miniature golf all over the place and I just kept wondering if he would ever be able to participate and understand any of this. Tristan does OK with hands-on type stuff. 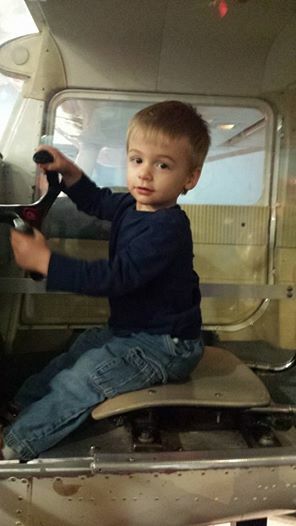 The wife took the boys out to DC last weekend, and one of the museums they hit was the Air and Space Museum. We took them there last year as well, and they both love sitting in this Cessna (at least, if I remember right it was a Cessna), and turning the flight wheel back and forth. He apparently threw a fit getting out of it, and had to be calmed down, but he looks pretty content when she snapped the pic. That gets me down if I think about it too much and compare Alex to his little sister or children in his preschool class. I just keep trying to work with him at his own pace. We're going to sign him up for soccer this summer and redo swimming lessons. The latter will be with his sister, so I hope he decides he wants to do what she does. Otherwise, the social stuff just doesn't matter much to him. We had the IEP meeting for last year. The goals are the same, that is, working on peer social interactions and classroom readiness skills like staying with a group activity. He's improved somewhat in both, but still needs assistance. We'll be adding a social skills class in this summer to help in those areas. He's all of a sudden become interested in picking out his clothes and dressing himself. He's also much more interested in potty training (yay!). The reward is flushing the toilet (talk about hands-on - this is a much more meaningful reward for him than stickers or candy). He also loves brushing his teeth and washing his hands. I think we have the Daniel Tiger app to thank for that. As a rabid homebrewer and beer nut, this makes me happy. Do any of you have experience with weighted blankets and/or deep pressure vests? Now that we have our tax refund, I want to get my son something like these. I am so tired of him taking all the blankets off our bed and wrapping himself up in them. I don't (was looking at ordering one) but I wear those running tights or technical fabric base layers whenever I can and it helps in a similar way. We tried a pressure vest with Tristan. Every time he even saw we had it in our hands, he'd freak out, run, hide, throw fits, scream, etc. I'd have to hold him down and fight him just to get it on. After three weeks of the therapist wanting to "give it a chance", she thankfully took it back. I'd like to try a weighted blanked, just haven't gotten to that point yet. We tried all modes of weighted blankets and such on loan from our therapy center, but Owen really didn't take to any of them. It's funny because he liked them when he was at the therapy center, but in the home setting they didn't seem to do anything. He certainly has sensory needs, but they don't seem to be as great as some kids with ASD. The vest was NO WAY, he was having nothing to do with it. Occasionally when putting him to bed, he likes to tuck his legs under us for some pressure and he has a favorite bean bag pillow that he sleeps with. My wife is taking Owen to Florida to stay at her parents winter home in a few weeks, and we just realized his passport has expired. A whole new level of dread set in when we realized he would have to have passport photos taken. In Canada they are notoriously strict about how the photos are taken, the child has to be emotionless with their mouth closed looking straight at the camera. I'm going to call Passport Canada on Monday and ask if there are any exceptions to children with disabilities. I'm also going to call our Pediatrician to see about getting a letter written or something. Well, the good news is my son has mastered stage I of PECS. It's pretty rudimentary, but it's the first sign of progress in months, he got it pretty quickly, and it gives me some hope he'll be using it for real by the end of the year. The bad news... His self-injury has gotten bad enough that the autism center thinks he needs to wear a helmet for protection. I'm having a hard time processing this one. And by that I mean: I'm feeling pretty down and near tearful at times. I know it's not totally logical, but it feels like the transition is now complete. His autism was once a difficult but surmountable challenge but now it's a permanent severe disability. Progress may be made, but it will never be enough. Really going to take a while to wrap my head around this. Your emotions are totally logical gewy, this stupid "disorder" has so many ups and downs. We seem to be going through a fairly rough patch with Owen right now, he is regressing into his old behaviors of not wanting to do anything that isn't on his terms. Bedtime routine has disappeared, and has been replaced with Owen falling asleep in our bed watching television. My wife and I haven't slept in the same bed for weeks as a result. There are times when I'm angry that we have to deal with this. I feel guilt as a result, and resent the people I work with when they gloat about their neurotypical kids. NEVER feel bad about the way you feel, this is one hell of a challenge.. just know you aren't in it alone. Yes. I am sometimes grateful that I'm an older parent and many of the people I work with are either childless or have older children. I don't have to hear about it. I am really happy that so far PECS is working out. That is a very big deal. ETA: Through April, The Thinking Person's Guide to Autism is $2.99 on the Kindle. I have it and think it's pretty good, certainly worth the price. This last week little guy's hyperactivity and self-injury dramatically increased. We went through the usual guessing game for non-verbal kids. Is he sick? In pain? Allergies? Is it due to changes in his asthma meds? No answers. I fear it's mainly sensory and just represents progression of the autism. Like it's determined to give my son the worst it has to offer. His sleep is more screwed up now too. Up between 12-2 am and can't get him back to sleep for 2-3 hours. So far melatonin and Benadryl have helped him fall asleep but not stay asleep. Out of desperation we're trying the GFCF diet now. It's day 2. I think the odds it will help are slim, but it's the only thing we can think to try. The next step is meds and I fear that's coming soon. Last week Tristan's therapist started to question whether or not he was actually autistic, because the leaps he's making are beyond what she's seen before... it's too fast. He's become really affectionate. He looks people in the eyes a lot more. He interacts with strangers. He's gotten more into singing along with the radio and movies. In one respect, I'm really happy to see these things happening. He's still pretty delayed compared to other kids his age, but it's progress, and while we didn't see a lot of progress for a while (which led to therapy, doctor's visits, and such that got this ball rolling), the rapidity of these new things is worrisome in itself. Believing he is autistic helps me have a good handle on the situation. Regardless of the outcome, it was a known quantity in my life. Now I'm uncertain, and that introduces chaos. There are still a lot of things that really do point to it being autism, without introducing these new things. He still has to have very strict routines, or else his whole day is thrown off (and I'm the same way in this). He still has issues with a lot of textures. He very easily gets into a sensory overload type situations. He fixates on the parts of things instead of seeing the whole. I'm starting to understand more of his speech. A few weeks back all we were getting was baby babble, and a handful of words. A few days back I actually had the first conversation where he said a sentence (I forgot exactly what, but it was clear enough to understand). I replied "ut uh" (essentially, "nope"), he replied "uh huh" (yup), and I said "nope" and he laughed. It was... very precious, and it hit me immediately that it was the first time me and him really exchanged words, instead of just mocking. In fact, it's made me wonder how much he really understands, and how much of that baby babble was coherent structured thought that he just simply couldn't express. PurEvil - is his therapist a psychologist who could make a diagnosis? If not, I'd discount her opinion. I have had several therapists comment on how unsure they were that my son is ASD, but for now I trust the psychologist who diagnosed him. According to her, his symptoms are mild but there. In addition, his strengths and deficits fit the general patterns for ASD - very strong spatial/visual thinking, deficits in social communication and expressive language. He has a hard time understanding how to answer, e.g., "How old are you?" (we are working on it; for now his answer is "I'm Alex!). What is comforting is that he is clearly above average in intelligence, and makes progress in lots of areas all the time. But the latter comes with intensive work. If it weren't for the various therapies, I doubt he'd have come this far. He also made quick progress at the start. gewy, I hope you and your wife get some relief soon. My son's psychologist mentioned that we should apply for the medicaid disability waiver program, for my son, the Health and Disability waiver. I've had the paperwork, but have just put off filling it out, since the waitlist is something like 12 months, but varies, I understand, from state to state. I have a friend with a severely disabled adult son who uses the waiver to pay for respite care (which I would guess would be a really good thing for you and your wife), job coaches, and other care expenses. They have a good income (the husband is actually the head of the autism center at UIowa, and I work with his wife), so that's not a disqualifier. Let us know how the GFCF diet goes. PurEvil - is his therapist a psychologist who could make a diagnosis? If not, I'd discount her opinion. I have had several therapists comment on how unsure they were that my son is ASD, but for now I trust the psychologist who diagnosed him. That's my initial reaction, given that when we asked them if they felt he was autistic (long before we got the diagnosis), they both (therapist and coordinator) kinda shifted uneasily, would look at each other, then give a line about how they weren't qualified to make any assessments. I mean, I know that each kid is different, I'm just not sure how much emotional gambling I want to do believing that he may be on the higher functioning side of the spectrum, and what we saw before was just a speed bump in his development. Pur - you're son most definitely understands far more than you think. Just because his output seems incoherent does not mean that he hears and receives information the same way. In reality, I'm sure he comprehends interactions and conversations on a level that is much more mature than his age. One thing that's been constantly revealing itself more and more over the past two years is that spectrum folks aren't numb to feeling; they actually feel more than neurotypicals which is why sensory input can be debilitating at times. One thing that's been constantly revealing itself more and more over the past two years is that spectrum folks aren't numb to feeling; they actually feel more than neurotypicals which is why sensory input can be debilitating at times.